Meet Roy. He's a swell guy, really. He's also a robot made largely out of parts cut on a laser cutter, and with your help on Kickstarter, you can own a piece of Roy, or even your own whole Roy robot. 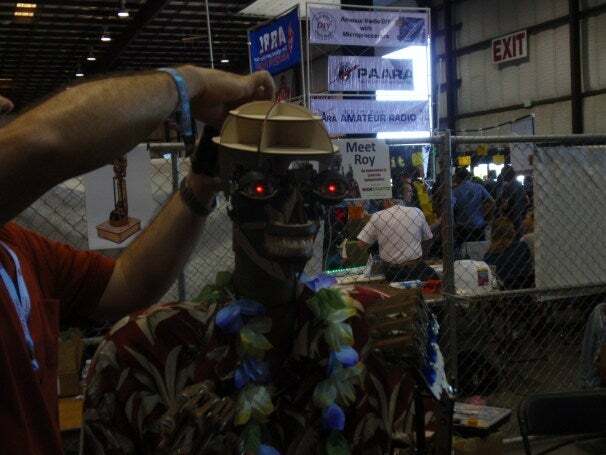 This past weekend, Roy the robot made an appearance at Maker Faire and officially launched on Kickstarter. Roy is an experiment in animatronics--it's a robot designed to imitate human behaviors and even move and look like a human in some senses. 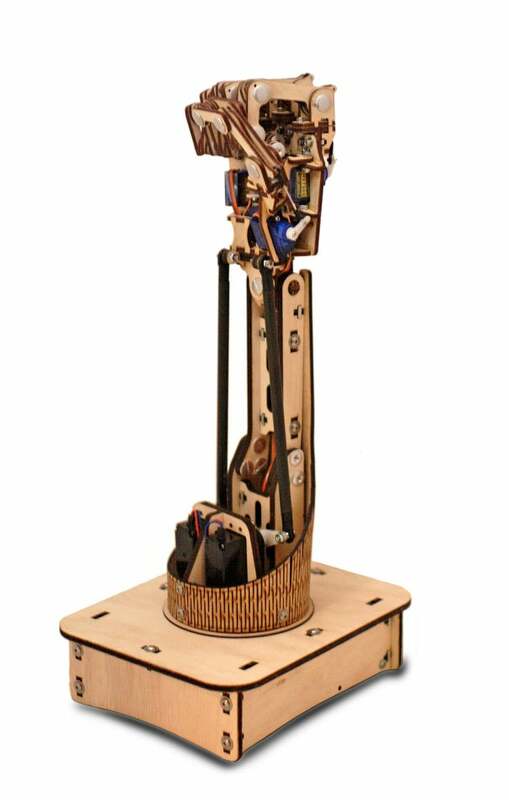 Roy is made from servo motors, wires, various mechanical fasteners, and some micro controllers and other electronics. But the notable aspect of Roy is his "skin" and frame, which is made from wood cut on a laser cutter. Using creative patterning, Roy's maker was even able to curve the wood around for the base of the arms. Roy is a creation of tinkerer and mechanical designer Brian Roe, and Brian wants to make Roy's awesome-looking skin and bones (wood and mechanical fasteners?) available to you. Since Roy is made up of so many parts and components, Brian decided that the simplest way to do it would be to create a Kickstarter project for just the arm, for now. But don't worry, you can still hook up electronics and use the hand and fingers to grip things and to learn about animatronics. If the arm is successful on Kickstarter, Brian plans to offer up other parts on Kickstarter down the line, including the eyes, upper arm, shoulder, etc. and eventually you will have yourself a full life sized robot to tinker with. Depending on how much you pledge, you can get anything from a finger to Roy's hand, the full arm, or even the entire arm completely assempled including electronics. If you vouch for a cheaper donation then you'll have to provide your own control electronics to whatever limb or limbs you decide to get. Make sure to check out the video below and to check out Roy on Brian's Kickstarter page for the full details.